25. 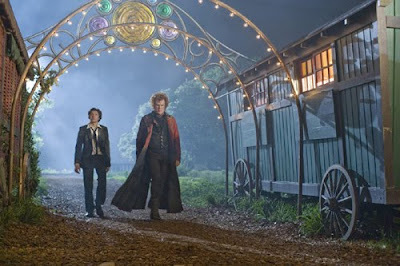 Cirque Du Freak: The Vampire's Assistant I love vampire lore whether it is romantic, brutal or cheesy and "Cirque Du Freak: The Vampire's Assistant" has me intrigued just with John C. Riley as a vampire! The film looks to have a different spin than the usual vampire movies, quarky and bringing a whole new blend of humor to vampires. Riley's hair is legendary enough to have this film make the Top 25 films left to see in 2009, but then add the freak show and I am bubbling with anticipation to see how this film plays out. Cast: John C. Riley, Chris Massoglia, Patrick Fugit, Josh Hutcherson, Jessica Carlson, Ken Watanabe, Salma Hayek, Orlando Jones and Willem Dafoe. Synopsis: A young boy named Darren Shan meets a mysterious man at a freak show who turns out to be a Vampire. After a series of events Darren must leave his normal life and go on the road with the Cirque Du Freak and become a Vampire. 24. The Box Richard Kelly is a dynamic director, a director that I will always be automatically drawn to any of his projects. I will say up front, I hate Cameron Diaz, she is a pretty face and nothing else. With someone else in the lead, I am sure this film would have been a lot higher on this list of films still to see in 2009. That said, the story is incredibly intriguing and Frank Langella looks eerie as hell. I have enjoyed Marsden's performances in the past and hope that "The Box" ends up being a great film. Synopsis: Norma and Arthur Lewis, a suburban couple with a young child, receive a simple wooden box as a gift, which bears fatal and irrevocable consequences. A mysterious stranger, delivers the message that the box promises to bestow upon its owner $1 million with the press of a button. But, pressing this button will simultaneously cause the death of another human being somewhere in the world; someone they don't know. With just 24 hours to have the box in their possession, Norma and Arthur find themselves in the cross-hairs of a startling moral dilemma and must face the true nature of their humanity. 23. 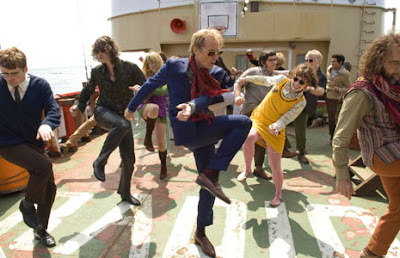 Pirate Radio (The Boat That Rocked) "The Boat That Rocked" now titled for a US release "Pirate Radio" has been a film I have had interest in since it's UK release back in April. My interest mainly stems from the outstanding cast, but also I always enjoy a whimsical comedy that generally looks like a good time. Richard Curtis has had some great screenplays including one of my all time fav's Four Weddings and a Funeral also brings an added bit of intrigue. Then you add an outstanding soundtrack and there is no doubt why "Pirate Radio" has found its way into the Top 25 films left to see in 2009. Synopsis: An ensemble comedy in which the romance takes place between the young people of the '60s and pop music. It's about a band of rogue DJs that captivated Britain, playing the music that defined a generation and standing up to a government that, incomprehensibly, preferred jazz. 22. Avatar Say the name James Cameron and most people will instantly stop and perk up their ears. The guy is legendary, he's been able to fascinate men with his breath-taking work in the Sci Fi genre and just as much women, with his epic love story Titanic. After what seems to be a generation, James Cameron is back and once again pushing the envelope in the world of cinema with "Avatar". Unlike many who would have "Avatar" easily in the Top 5 most anticipated of '09, I am not as eager for this film. I am intrigued, but I have stayed away from all of the gossip in order to keep myself fresh when "Avatar" finally releases in December. This of course has had a reverse effect making me not as amped to see the 3D event. I am sure this film will be mind blowing, but for me there are 21 films I want to see more than "Avatar". Cast: Sam Worthington, Sigourney Weaver, Michelle Rodriguez, Zoe Saldana and Giovanni Ribisi. 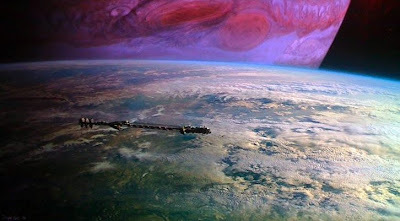 Synopsis: In the future, Jake, a paraplegic war veteran, is brought to another planet, Pandora, which is inhabited by the Na'vi, a humanoid race with their own language and culture. Those from Earth find themselves at odds with each other and the local culture. 21. Nine "Nine" is inspired by Federico Fellini's autobiographical film 8½, which alone is enough to make the Top 25 films left to see in '09, but then you add Daniel Day-Lewis in the lead role and I am hooked. The passion for this film only grows knowing that it is a musical, a genre that is my biggest guilty pleasure of all. Rob Marshall did a solid job on Chicago and I am sure with the ultra-talented cast, "Nine" will end up being a favorite of mine for years to come. Cast: Daniel Day-Lewis, Marion Cotillard, Penelope Cruz, Judi Dench, Nicole Kidman, Kate Hudson, Fergie and Sophia Loren. Synopsis: Famous film director Guido Contini struggles to find harmony in his professional and personal lives, as he engages in dramatic relationships with his wife, his mistress, his muse, his agent, and his mother.